The following article will answer the most important questions about Microsoft’s upcoming operating system Windows 7, basically everything you need to know about Windows 7 to be prepared for the upcoming release. We have decided to create the article in a form that resembles faq pages to make it easier to read. What’s the current stage of development? The release candidate will be released publicly in the coming week. It will be available for 1-2 months and expire in mid 2010 giving every user enough time to test if they have the desire to do so. Microsoft has not revealed a release date for their new operating system yet. Most experts think that it will either be released in the fourth quarter of 2009 or at the latest in the first quarter of 2010. Microsoft has published hardware requirements for Windows 7 Beta. It is expected that the same requirements will be valid for Windows 7 Final. It is generally accepted that computers that are running Windows Vista will be capable of running Windows 7 as well. Windows 7 Starter - Designed for low end computer systems like netbooks, comes with severe limitations. Windows 7 Home Basic - Designed for emerging markets only. Windows 7 Home Premium - Worldwide available, one of the main end user systems that comes with a solid feature set. Windows 7 Professional - Worldwide available, aimed at small to medium sized businesses, professionals and enthusiasts. Windows 7 Enterprise - Same as Windows 7 ultimate but only available to organizations and large companies. 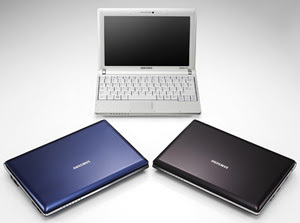 What are the differences between the six Windows 7 editions? What are the major changes to previous operating systems like Windows Vista? Will Microsoft provide upgrade opportunities? There will be no free upgrade for all other versions of Windows Vista that are purchased after July 1. How are the updates installed? Windows XP users need to perform a clean install. This is the only way to upgrade to Windows 7 except for the possibility to first upgrade to Windows Vista and then to Windows 7 if copies of both operating systems are available. 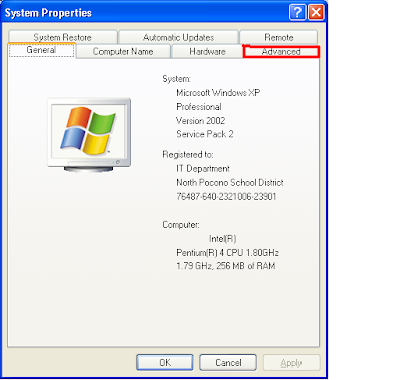 Windows Vista users can perform the upgrades right away. The upgrade paths are the same as for the free Vista to Windows 7 upgrades. Every other combination has to be installed doing a fresh install. How much will Windows 7 cost? Microsoft has not revealed any information about the pricing of Windows 7 yet. It is likely that prices will be in the same range of Windows Vista and that the prices for Vista will drop a bit to reflect that. Expected prices will therefor be in the following price ranges. 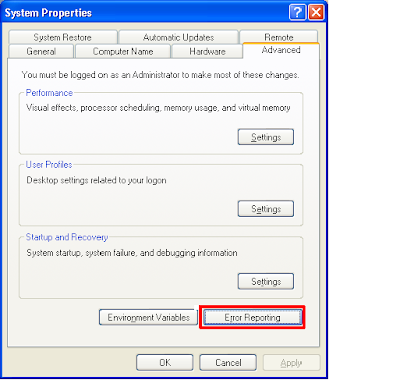 Follow these steps on how to disable error reporting in your Windows XP machine. 1. First, right-click the My Computer icon in the Start menu. 2. Next, select Properties to open up the System Properties window. 3. Now, select the Advanced tab. 4. Then, under the Advanced tab, click the Button that reads Error Reporting at the bottom of the application. The Error Reporting window should now appear. 5. Next, select the item that reads Disable Error Reporting. 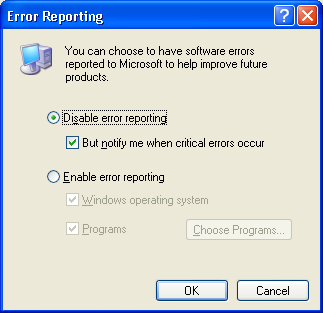 Although you are choosing to eliminate all error reporting, you will still be notified when critical errors occur as long as you keep the box checked that says “But notify me when critical errors occur” under the item: Disable error reporting. 6. Finally, click OK to exit the window and then click OK again to exit the System Properties window. That’s it! You should not receive those annoying error messages again, but will still receive the critical ones. Have fun! IPv6 is the next-generation Internet Layer protocol for packet-switched internetworks and the Internet. IPv4 is currently the dominant Internet Protocol version. IPv6 is installed and enabled by default in Microsoft Windows Vista/Server 2008/7. 5. Restart your Windows to take effect. 7. At this point the System Restore wizard will launch. You are working in your home rushing a report on a cloudy night to be submitted the next day, when suddenly a lightning strikes. Simultaneously your computer went blank. You come home from your extended trip to find that your house has been struck by lightning. Minimal damage has happened to the structure, but you go inside and find that many of your electronic items, including a 3-year-old TV and a $1500 computer have been totally destroyed by the seemingly minor lightning hit! What happened? You had all these electronics turned off and plugged into surge protectors, why did they get damaged so badly? The telltale words in the previous sentence should give you a clue: ‘plugged into’. This assumes that the surge protectors themselves were still plugged into the wall … and they were. This is an actual account from a resident who went for a month to visit the kids and grandkids. When they returned, they found all of the damage to their electronic equipment throughout the house. Luckily, they had good insurance and the items were replaced. I also experienced this event twice, one in our school (a year old, slightly used computer) and another in our house. A computer technician test which parts are not working. The power supply, hard drive, keyboard and mouse are functional. The DDR2 memory module still work. However, the motherboard, 15-inch LCD monitor and CD-ROM drive weren't functioning. But getting a new computer is not like getting a new TV, where you take the TV out of the box and plug it into the wall and turn it on. It takes a lot of time to set up a new computer and reconfigure the software as well as take the backed up data and restore it to the new computer. I made a good amount of money that day but learned a great lesson that I will pass on to you. First of all, if you have important data on your computer, back it up. If you don’t know how to do it, find a good technician or at least a friend who knows how to help you. Backing up data just means that you make a copy of the information that you work with on a regular basis on your computer, whether it is pictures or financial information or a book that you are writing … whatever is important to you, needs to have a copy that resides off of the computer. This client found out the hard way just how important it is to create these backup data discs, and was very grateful that she did! Programs that run on your machine can be replaced, but the data that you create with the program cannot be replaced, unless you have a copy of it! Secondly, when you leave the house for any length of time and there is a chance that a thunderstorm will arrive near your building, you must shut down your computer and any electronic devices … if you want them to survive the storm. And, to absolutely play it safe, even if your devices are plugged into a surge protector and they are shut off … unplug the surge protector from the wall socket and the connection from the phoneline if your computer is connected to the internet. That little act will save you from tons of costly grief! During thunderstorm season in the spring and summer, I shut off and unplug every computer that we have running at the office, as well as any other important electronic item that I don’t want damaged. One of the biggest problem in a computer are the viruses. There are many software and anti virus but some of them doesn't really work well. To those people who rely have businesses that rely heavily on a working computer like schools, Internet Cafe, and some other businesses I recommend using Deep Freeze, a software that can protect your computer in many ways. How does Deep Freeze works? If you install Deep freeze in a computer, that computer will be frozen, so to speak. It means that the current settings will be saved. If the costumer use that computer and for example he used a Universal Serial Bus (USB) for saving his work and his USB has a virus and your computer was infected the only thing you must do is to restart that computer and after it the virus will gone because your system will back in his original settings. You don’t need to install Anti virus when you are using Deep Freeze because the update of your Anti Virus will be useless when you restart your computer unless you will disable the deep freeze every time you will update your Anti Virus. But for me I didn’t use Anti virus when I am using Deep Freeze because some of the Anti Virus made your computer slow so in case I have a problem in viruses and some other problem I’ve just restart my computer to fix it. Another Problem that deep freeze can help is for example your costumer installed something in your computer that is not useful for you, you don’t need to install it but just restart your computer and the installed program by your costumer will gone. Important things to do when using Deep Freeze. 1. You need to provide a storage in order for you to save your project and important files because you cannot save any data to a computer with a deep freeze installed. 2. disable deep freeze when you are going to update your system or you are going to install a new program. 3. Enable deep freeze when you are finish to update or installed a new program in order to be frozen again. Trojan.Webkit!html is a generic detection for HTML files containing malicious code to redirect users to malicious Web servers,is a common detection method used to detects HTML files that contains malicious code to redirect users to its predefined Web servers where it can download additional malware onto the infected computer. 3. Scan your computer completely using antivirus software. Do you find your laptop hotter than before? Does your laptop always blow hot air from the vent even if you don’t use any heavy duty program? Do you feel your laptop keyboard or touchpad getting hotter? A hot laptop usually means a short life span laptop. You should always keep your laptop temperature low to prolong its life span. Using a cool laptop feels better too. You won’t feel as if your laptop just came out from the oven. So what should you do if your laptop gets hotter than before? Here is a simple tip to lower your laptop temperature in one minute. It started with my younger brother having some software problem on my old Acer laptop. He was in China. So the computer technician helped to format and reinstall the operating system. But after that, he found the laptop was quite hot. Even the keyboard and touch pad was hot. So he used a laptop cooler with fans. When he came back, my another younger brother found out the real culprit for this heat problem. It was caused by Windows Power Management setting! The power scheme was set to “Home/Office Desk”. Setting it back to “Portable/Laptop” solved the problem immediately. Before this, I thought the Power scheme is only a preset of timeout setting for turning off monitor, turning off hard disk, system standby and hibernate. Apparently, it does more than that. Choosing “Portable/Laptop” power scheme lets Windows know this is a laptop. So Windows will adjust its operating environment to save power and therefore, reduce temperature. How to set the power scheme for your laptop? For Windows XP, go to Start -> Control Panel and double click on “Power Options”. 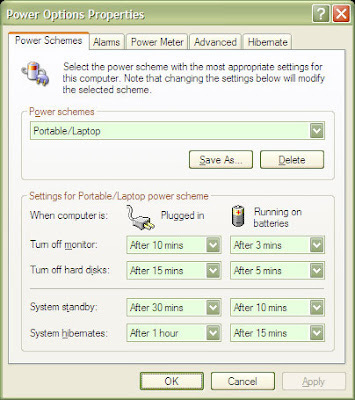 Under “Power schemes” section, select “Portable/Laptop” and click “OK”. Another simpler method is to left click on the Power taskbar icon and select the required setting. For Windows Vista, the step should be roughly the same. Just today, one of my relative with Acer laptop also experiences hot laptop. Hot air keep blowing out from her laptop fan. And she placed a laptop cooler at the bottom too. At first I thought it was the problem with Acer laptop. But then I remember the Power scheme setting. So I checked her power setting and it was set to “Always On”. After I changed the setting to “Portable/Laptop”, her laptop fan stopped blowing hot air after a few seconds. So if you have similar problem, you may want to check your power scheme setting. Remember to set it to “Portable/Laptop”. You can also check the program running on background. If possible, reduce your background program to minimum to reduce CPU work load. If a program crashed, CPU work load may be increased by 50% too. Every electronic item that we buy always comes with one warning. Avoid contact with liquids. This is also true for our valuable laptops. However, try as we may, there will be times when we do end up spilling water or any other kind of liquid on our laptops. What should you do in this case? Well, firstly keep liquids away from your laptop. After all taking precautions is the best thing that you can do for avoiding damage to your laptops. But in case you do end up spilling liquids on your laptop at that one slightly careless point in time, here are some water damage restoration steps that will help you. 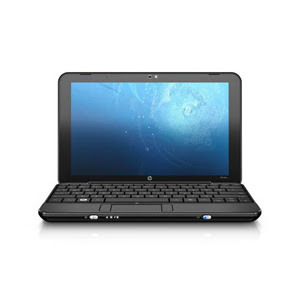 First and foremost step in the water damage restoration of your laptops is turning it off. You should shut down your laptop immediately. Unplug it from any electricity source. Remove the batteries from the laptop. By cutting off all power to your machine, you will ensure that no damage is done to your motherboard. The next step is to get the water out immediately. You can do this by turning your laptop upside down. Water spilled on your laptop may not damage your circuits or motherboard if the water damage restoration process is started immediately. What will cause damage to the internal components is the electricity which is running through your machine when the water is spilled. Continue with this step in water damage restoration until you are sure that all the water has been drained out of your laptop. Cutting off the power supply to the machine and allowing every last drop of water to drain out will help in the effective water damage restoration of your laptop. Once this is done, use an absorbent towel or paper towel to wipe the external parts of the laptop. Wipe the keyboard and make sure that there is no water trapped in between the keys. Continue with the water damage restoration by using a damp cloth to wipe the screen of your laptop. If a liquid other than water has been spilled on the laptop such as tea, coffee or soda, you will need to take your laptop apart. 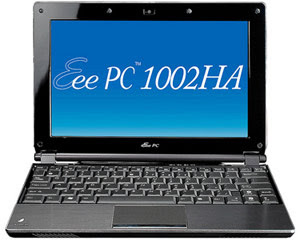 This is a very important step in the water damage restoration of your laptop and should be done with extreme caution. If you are not familiar with your machine and you do not know how to disassemble and reassemble it, take it to a laptop repair specialist. It may prove to be costly but may be necessary to get back your machine in working order. 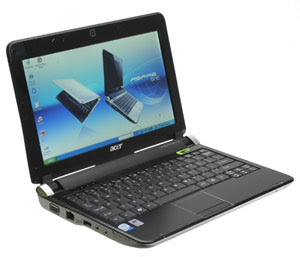 Drying your laptop is a very important step in the water damage restoration of your laptop. Do not operate your machine unless you are convinced that it is completely dry. You might have to wait for about 1 to 2 days before switching on your laptop again. Dry your laptop by keeping it in a dry place. Use a fan for faster drying. 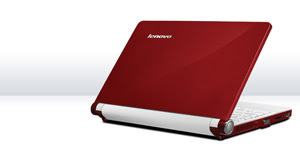 It will help in circulating air, reducing humidity and drying the excess water in your laptop. To be on the safer side, it is always a good idea to get your water damaged laptop checked by a qualified laptop repair professional. The professional will thoroughly check the laptop and suggest any water damage restoration steps that might be necessary to minimize the damage to your machine. 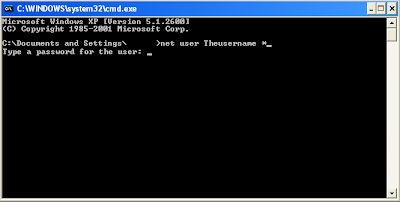 1) Look for this file ppcrlconfig.dll which is here X:\Documents and Settings\All Users\Application Data\Microsoft\IdentityCRL\ppcrlconfig.dll) and delete it. 2) Remove any WLM or MSN Messenger installed (including the MSG). 3) Make Restart the Windows Live Messenger. If you receive this error message, check first if you have the version 8.0.792 or later of Windows Live Messenger. You can download the latest version of the Web site of Windows Live Messenger. 1. On the taskbar, click Start, then select Explorer. 2. Click Tools and then select Folder Options. 4. In the Advanced settings list, select Show hidden files and folders, make sure it does not selected unknown extensions for known file types and then click OK.
5. In Windows Explorer click the View menu, click Line Explorer and check that the folders are selected. 2. Click Organize, and then select Folder and Search Options. 6. Layout menu, verify that it has selected the browser Window. 2. Navigate to the folder C: \Documents and Settings\your login name in the Windows\Contacts\Your email address in Messenger. 4. Navigate to the folder C:\Documents and Settings\your login name in the Windows\Local Settings\Application Data\Microsoft\Windows Live Contacts\Your email address in Messenger. 5. Delete all files and hidden folders in the folder email address in your Messenger. 6. Close Windows Explorer and try to enter again in Messenger. 2. Navigate to the folder C:\Users\your login name in the Windows\Contacts\Your email address in Messenger. 4. Navigate to the folder C:\Users your login name in the Windows\AppData\Local\Microsoft\Windows Live Contacts\Your email address in Messenger. Be careful not to delete the entire folder, your contacts as it will delete all your contacts. For more information about the backup for your contacts, see the Help documentation of your email. It may not be able to sign in to Windows Live Messenger due to a problem with the DLL file or the unit of analysis XML. 1. On the taskbar, click Start and then Run. 2. Type % windir%\system32\regsvr32%windir%\system32\msxml3. dll. 3. Click OK and then press again OK.
4. Wait a few minutes and then try again to enter. 1. On the taskbar, click Start, type %windir%\system32\regsvr32%windir%\system32\msxml3 .dll in Start Search and then press ENTER. 2. Click OK and then press again OK.
3. Wait a few minutes and then try again to enter. 1. Visit the download site for the unit of analysis XML Microsoft. 2. Under the msxml3.msi, click the Download button and select to save the file to your computer. 3. Locate the msxml3.msi on your computer and then double-click it. 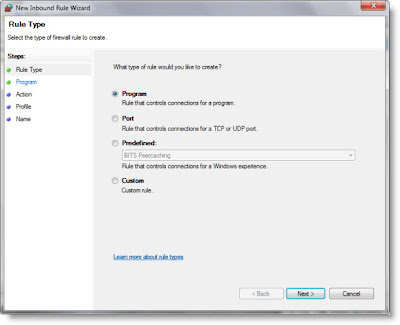 2) click on the Start button, then run the regsvr32 softpub.dll file from "Run" or "Run" Restart in Windows Live Messenger. 3. And Type the following, remember to press ENTER after each entry. Visit another Web site to make sure that you are connected to the Internet. If you can not connect to a site, contact your ISP (service provider Internet. A company that provides access to the Internet.) Or your local network. 1. Go to the site of MSN Web Messenger. 2. Click Start MSN Web Messenger and try to enter. 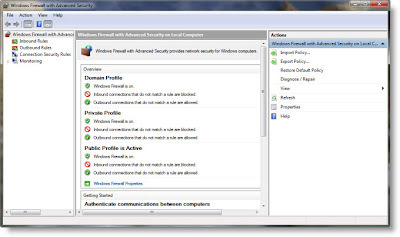 If you can sign in to MSN Web Messenger, but Windows Live Messenger still can not access the Internet, the Windows Live Messenger may be blocked by a firewall. 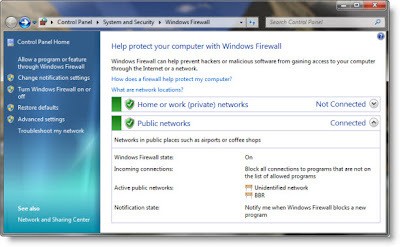 You may need to add MSNmsgr.exe the list of permitted programs your firewall. For more information, see the documentation or the Web site of your firewall. The Windows Live Messenger service may be unavailable temporarily. c. Check the network of Windows Live Messenger Status on the Web site network of Windows Live Messenger, and then try to login again later. 2. In the Tools menu, click Options Internet. 3. In the Connections tab, click LAN Settings. 4. Clear the check box Automatically detect settings. 5. Click OK and then press again OK.
2. Select Tools, then click Options. 3. In Connection, click Advanced. 4. Delete the entries in SOCKS. 3. In the Advanced tab, under Security make sure the check box Check for server certificate revocation is not selected and that the check boxes Use SSL 2.0 and Use SSL 3.0 are selected. 3) Now place the file here C:\Documents and Settings\[Windows Username]\Application Data\Microsoft\IdentityCRL\ and then overwrite to existing file. It may not be able to enter due to error in file DLL. 1. In Windows XP, click Start and then Run. whatever In Windows Vista, click Start, then click the Start Search. 2. Type %windir%\system32\regsvr32% windir%\system32\msxml3.dll and press ENTER. 4. In the Advanced settings list, select Show hidden files and folders, make sure does not selected unknown extensions for known file types and then click OK.
2. Navigate to the folder C:\Documents and Settings\your login name in the Windows\Contacts\Your email address in Messenger. 4. Navigate to the folder C:\Users\your login name in the Windows\AppData\Local\Microsoft\Windows Live Contacts\Your email address in Messenger. When I observe most colleagues and friends working on their PC's they mostly use the mouse as they are unaware of the powerful Windows keyboard shortcuts that will make their lives so much easier. Some people might be aware of the keyboard shortcuts, but they are used to be working mostly with the mouse and old habits are hard to let go. In this article I will take things step by step so you can learn the keyboard shortcuts that are required to navigate your way around the Windows operating system. Let's assume your machine is starting up and due to a faulty mouse or some other related problem your system cannot be accessed with the mouse. A user that is not using keyboard shortcuts on a regular basis will be completely lost. Ok it's relatively cheap to replace the mouse, but what if you had to quickly perform a task that cannot wait until a new mouse is acquired or the problem is fixed? Press Ctrl and Esc to show the Start menu or press the Windows Logo key. Now press the Up Arrow until you can see the selection rectangle moving upwards in the Start menu. Once the selection rectangle enters the Start menu press the Left Arrow to move to the left section of the Start menu. Then press the Down Arrow until "All Programs" is selected. Press the Right Arrow to expand the "All Programs" menu. Press the Down Arrow until "Accessories" is selected. Press the Right Arrow to expand the accessories menu. Now press the Down Arrow until the Notepad menu item is selected and the press Enter. This will cause the Notepad application to launch. Armed with this basic keyboard shortcut knowledge you will be able to launch any application without the use of the mouse. Frequently users place icons on the desktop to quickly access some application, files or folders they regularly use. What now if the mouse packs up and you have to get to that file? Here is how to make use of the Windows keyboard shortcuts to get that done: Depending on the current situation different steps might be required so keep in mind that you do not have to do all the steps. Press the Windows Logo key and M simultaneously to minimize all Windows. Press Ctrl and Esc simultaneously and then press Esc again. (Only required under certain conditions so you might only need to perform this step if you do not get the desired results from the step below). Press the Tab key and release it. Keep on pressing and releasing it until you see a "focus rectangle" surrounding one of the icons on the desktop. If there are a lot of icons on the desktop you might need to look carefully if any receives the focus indicated by the focus rectangle. Also occasionally use the arrow keys to see if you can move between different icons if it is difficult to notice the icon with the focus rectangle. Normally the focus will move between the Windows Taskbar and the last icon that had the focus (being selected) on the desktop when the Tab key is pressed. Once you got the "focus rectangle" on any icon on the desktop it is just a matter of moving to the icon of your choice using the arrow keys. When the required icon got the focus or is selected press the Enter key to open the file, folder or launch a program. Our next step in this Windows keyboard shortcuts article is to manipulate windows in the context of minimizing, maximizing, moving and closing them. To minimize the currently active window press Alt and Spacebar. The Control Menu for the window will appear. Now press N to minimize the window. To maximize or get a window to its restored state when it is minimized to the Windows Taskbar hold down Alt and then press and release the Tab key until the desired window is selected. When the window of choice is selected also release the Alt key which will ensure that the window will either be maximized or restored depending on its previous state. If you want to maximize a window from its restored state press Alt and Spacebar. After the Control Menu appears press X to maximize the window. To restore an maximized window press Alt and Spacebar. When the Control Menu appear press R to get the window from its maximized to restored state. To move a window press Alt and Spacebar. When the Control Menu appear press M. Now use the arrow keys to move the window to the desired location and press the Enter key to round of this operation. When you want to re-size a window press Alt and Spacebar. When the Control Menu appear press S. Now press the arrow keys depending on which side you want to size the window from. Right will take you to the right edge of the window for sizing and the Down arrow will take you to the bottom right corner for sizing purposes. When pressing the left key first you will be taking to the window left border to carry out sizing from that side. Once you have selected your sizing location by pressing the left or right arrows and up or down arrows do the sizing by using any of the arrow keys. When finished press Enter to complete this operation. Pressing the Esc key will leave the original size of the window intact. To close the currently active window press Alt and F4 or press Alt and Spacebar, then press C.
Take note that the WINDOWS key is the Windows Logo key on the keyboard. Display list of open programs and switch to next program. (Press TAB again to advance to the following program). Display list of open programs and switch to previous program. (Press TAB again to select the pervious program). Toggle between Show Desktop and Show Open Windows. Rename selected folder, file or shortcut. Create a New document for the active application. Display the Open dialog box of the active application. Save the current document of the active application. Print the current document of the active application. Select All content of the current document. Paste contents of clipboard into active document. Make selected text bold or remove bold formatting. Underline the selected text or remove underline. Make selected text italic or remove italic formatting.